Made with organic ingredients by The Parrot Shop. 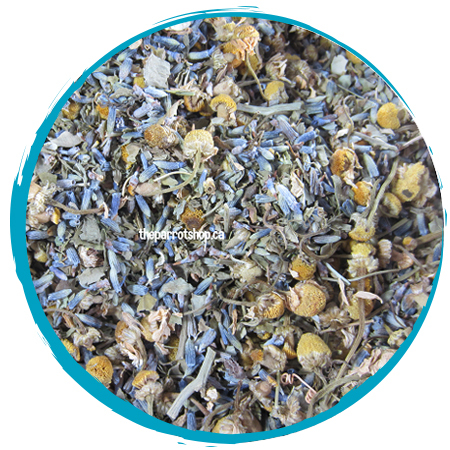 This fragrant blend of chamomile, lavender & passion flower will help calm and relax your bird during high hormone season. Great for birds who are feather pickers, screamers, high anxiety etc. - Make into liquid tea and use water for birdie bread. These herbs are NOT intended to replace proper avian vet care. It is recommended to discuss before using with your avian vet. Price is for a 40g bag. Bag Size 5" x 8"